What are the Different Causes of Bone Pain? A broken bone may cause severe bone pain. 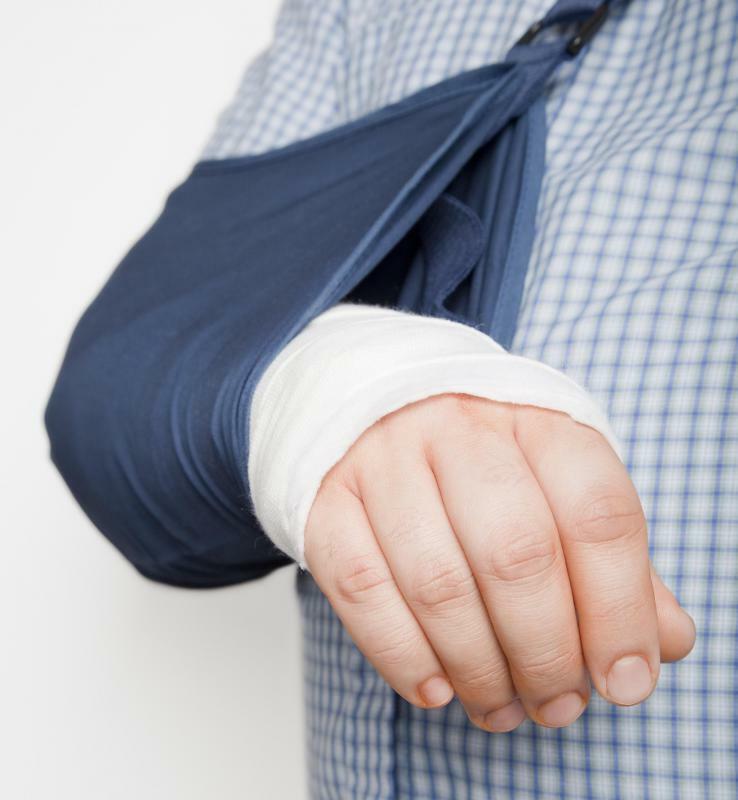 A sling may be used to immobilize the painful, injured body part. There are several causes of bone pain, including injuries, fractures, and infection. The cause of this pain can be from something minor, such as over use, or from a serious condition medical condition such as cancer. Occasionally a rare condition, such as Paget’s disease can cause bone tenderness. Bone pain from cancer may be from a malignancy, which started in the bone, or cancer that has spread from its original site to the bone. The pain may be from damage to the bone itself, surrounding nerves or bone tissue. 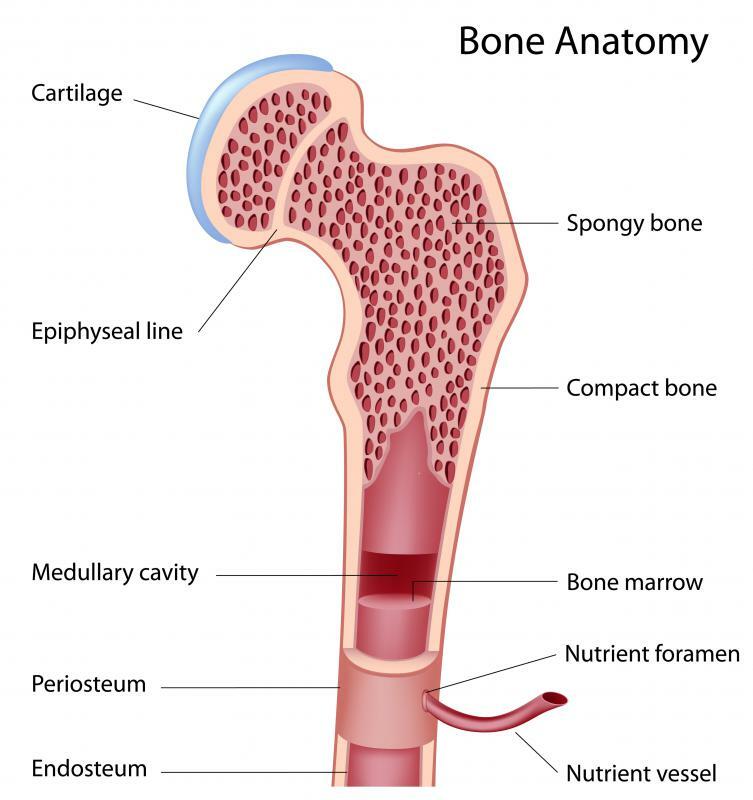 Bones may become weak due to certain cancers or cancer treatments, which may lead to fractures and pain. Certain medications used for cancer treatment, such as hormone therapy and chemotherapy may also cause pain in the bones as a side effect. Fractures to the bone are a common cause of pain in the bone. Although many times it is obvious a fracture has occurred, small, stress fractures may go undiagnosed for a while. Small cracks may develop in the bones due to repeated stress on a bone, which can also cause pain. Other causes of pain in the bones include arthritis, which is a condition that causes inflammation to the joints, though it may also cause bone pain in some people. Osteoporosis is a condition that causes the bones to become weak. Although bone pain is not a common symptom of the condition, it can occur. 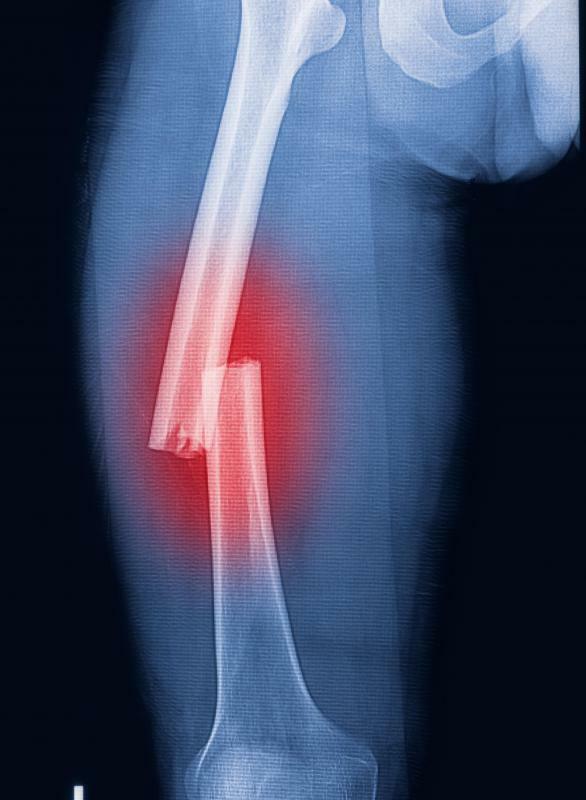 Some causes of pain in the bones may be easy to diagnose, such as a broken bone. Other times it may take several medical tests to determine a diagnosis. The first step to determine the causes of pain will be a physical and medical history. A pain sufferer's doctor will likely ask when the pain started, how severe it is, what exacerbates it and if anything relieves the pain. Blood tests may also be ordered to rule out infection or check for cancers, such as leukemia, which can cause this pain. X-rays will likely be recommended to check for fractures. Additional tests ordered may include a CT scan or MRI. Treatment for this kind of pain depends on the cause. Some fractures may require surgery. If pain is caused by a bone infection, antibiotics will likely be needed. Painful bones due to cancer may be treated with chemotherapy, surgery or radiation therapy. Certain types of pain may respond to steroids, which reduce inflammation. Over the counter pain medication or prescription narcotic pain medication may also be given to reduce discomfort. What are the Pros and Cons of Morphine for Cancer? What is the Difference Between Arthralgia and Myalgia? What can I Expect During a SPECT Bone Scan? How Many Bones do People Have? I have always found it strange how when a person first breaks a bone there is normally little pain, but after a few minutes or so the bone pain gets so so bad they can hardly bear it. This is how it was for my son when he broke his arm playing football. How many of you out there heard older people talking about how they could tell weather with their bones when you were younger? My grandmother was always telling us there is a storm coming or the temperatures are going to drop. She was adamant that she could feel the change in coming weather in her bones. At the time she was telling us this, I had my doubts. However, now that I am older I sound a lot like her. I hurt my ankle bone playing sports years ago, and now certain weather conditions seem to make the bone pain increase. I may not be as good as the weatherman, but I can tell when a change is on the way, especially when rain and cold weather is coming. I have an aunt who has diabetes. She has been living with this disease for much of her life, and this creates a lot of challenges for her. Some people are able to live with this disease better than others, but most people have some type of complications because of the disease or the drugs they take to fight it. feet seemed to be coming from. Her doctor eventually figured out that the pain was coming from the nerves in her lower body. She says the bones in her feet hurt after an attack, but the actual cause is related to the nerves, and this is common with diabetes.